Brewzilla's Beer List is Untappd! We’re lucky in Cleveland. We have a great beer scene with a tight-knit, welcoming community of passionate beer drinkers and one of the top three beer weeks in the country. 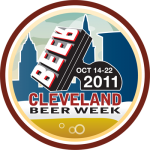 Cleveland Beer Week 2011 continues until Saturday (10/22/11), and then it will end like every beer week before it, in a celebration and grand tasting at the Galleria called BREWzilla. In the past, the various beer blogs in the area have featured previews and ‘can’t miss’ lists of the best beers pouring at the grand-daddy of all beer tastings, but this year we wanted to consolidate. 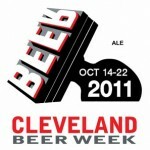 So, I teamed up with Brad of Cleveland Food and Brews to offer this list – our picks for the best beers at BREWzilla. This list came about by both of us ranking our beers and then cross referencing them against each others list. We both hope you find our information useful and we hope to see you at BREWzilla! Cheers! Brad Says: I’ve attended my fair share of craft beer events over the past year and each time I go to an event I go in with a plan. What I mean by a plan is that I look over the beer offerings very carefully and plan out ahead of time what Beers I must try. Today I’m going to come up with a few lists for you and hopefully these lists can guide you around BREWzilla. Bobby Says: This year’s BREWzilla promises to be the best one yet, with some outstanding beers. I totally agree with Brad that a plan helps, so pick the handful of beers you have to try. Then you can explore – perhaps my favorite part of any festival – and try some new-to-you beers you come across. The General Admission Beer list this year is staggering. In fact, for someone who doesn’t regularly attend beer events it can even be intimidating. We looked over the massive list and created two sub lists that you might find helpful in planning your night at BREWzilla. Brad Says: These Brews all represent something pretty special. 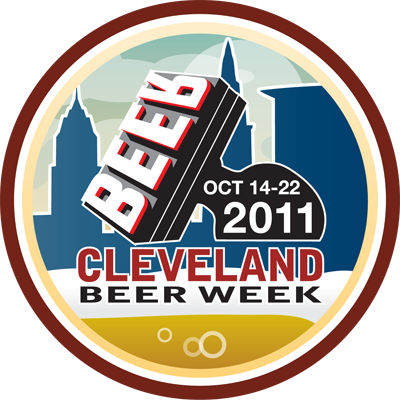 These beers are either rare to Cleveland, or simply a beer that is at the top of the class. These are ones that I won’t miss out on! Bobby Says: We’re lucky to have so many awesome options for the general admission part of the event! I’m thrilled to see some favorites and some beers I’ve always wanted to try on the list! Finally, we selected another group of beers that we’re looking forward to trying, but we also won’t mind if we miss! These beers are every bit as good as the rest of the lists, but they’re a bit more available or they’re something we’ve had before. Brad Says: Although there are a few that are rare to our area, most beers on this list can be found around town either on draft or in bottles if you don’t get a chance to have them during BREWzilla. Bobby Says: While I like ‘rare’ beers, I also think we have so many great year-round options in this state that we are truly lucky. If you haven’t tried something on this list or you’re just getting started in craft beer, BREWzilla could be a great opportunity to have a beer revelation! Whatever you choose, BREWzilla is one of the best beer tasting events anywhere. We’re lucky to have such a great community in Cleveland, and I’m glad my good friend Brad at Cleveland Food and Brews is a part of it. Hope to see you at Brewzilla – get your tickets now so you don’t miss out! Cheers!! 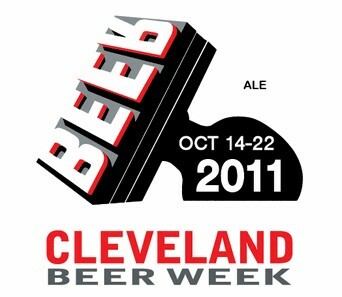 If you need more information please seek out Brad @CleFoodAndBrews or myself @BobbyLikesBeer on Twitter.